How to Blog - Make a Blog Today! Free Easy Tutorial for Beginners - You CAN Make a Blog Today! Want to know how to blog? You've come to the right place! The first thing you need to know before you start to make a blog is that it is very easy! If you can send an email you can make a blog these days. I want to know the basics of how to make a blog but I don't like a lot of details. Just give me the main points I need to know. I like to know everything I can. I want to know as much as possible about how to make a blog. 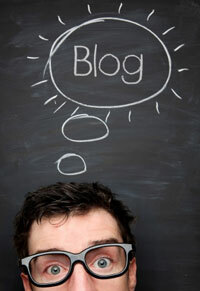 Just choose one of the 'how to blog' personality types above to get started. You CAN do this! Even if you have absolutely no techie experience, you can make a blog in just a few minutes. My easy tutorial makes it a breeze for beginners and non-techies to build a blog! Get started now and you can have your own amazing blog today. It is possible and you CAN do it!